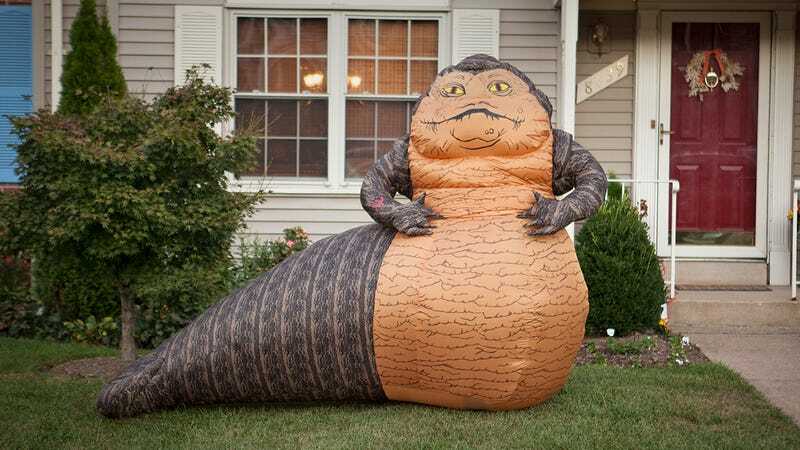 You might look at this six-feet tall inflatable Jabba the Hutt and see the perfect way to decorate your front yard for Halloween. But look harder and you’ll see it’s actually perfect for any holiday or celebration—be it Christmas, St. Patrick’s Day, a wedding, or the arrival of a new baby. $170 might sound a little extravagant for Halloween decorations when foam tombstones are so cheap. But count up the holidays on your calendar and crunch the numbers and you’ll see that Jabba—who’s kept inflated to his full 10-feet length with an included blower—actually ends up being pretty cheap on a per holiday basis.